The efforts by the Lagos State Government to raise the standard of education in the state is yielding positive results as pupils and students record improved results in the 2016 Basic Education Certificate Examination (BECE) and Placement Test into the State Junior Secondary Schools conducted recently. 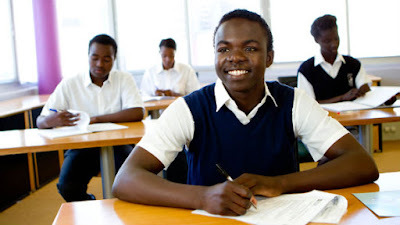 The result of the 2016 of the Basic Education Certificate Examination (BECE) released by the Lagos State Examination Board revealed that 128,149 representing 88.14% candidates, who sat for the examination, passed. The Director, Lagos State Examination Board, Mr. Olufemi Hassan, who gave a breakdown of the population of students who participated in the examination, noted that out of the 145,393 candidates enrolled for the test, 77,982 representing 53.64 % candidates were from Public Schools while 67,411 representing 46.36% candidates were from Private Schools. He explained that candidates who failed in English, Mathematics or both are to re-sit the failed subjects in line with the Basic Education Certificate Examination policy, adding that the re-sit will take place on 29th September, 2016 at designated centres to be announced later. Mr. Hassan urged the Principals of the public Junior Secondary Schools to collect their BECE results through their respective Tutors General/Permanent Secretaries while representatives of Private Schools should collect theirs at the Lagos State Examinations Board, Iyana-Ipaja. The private schools’ representatives will be required to show evidence of their students’ registration for the examination. In the same vein, a total 0f 168,386 pupils of both public and private primary schools registered for Year 2016 placement test into public secondary schools in the state. Out of this figure, a total of 146,976 participated in the examination out of which 125,589 representing 85.45% scored 50% and above, while 21, 387 (14.55%) failed the examination and would have to re-sit. The Head Teachers of Public Primary Schools are enjoined to collect their schools result for Placement Test from the Lagos State Universal Basic Education Board (SUBEB), while their Private Primary Schools counterparts are to collect theirs at the Lagos State Examinations Board after showing evidence of proper registration.